This specification should be viewed as a clarification of the United States Department of Agriculture publication titled United States Standards for Grades of Christmas Trees, (USDA-Std). It is not intended to expand the scope of, or alter the meaning of the USDA Std. 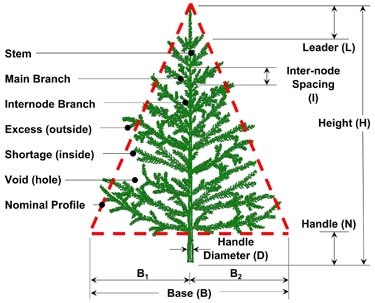 It is a recommended guideline and is currently applicable only to Christmas trees marketed by members of the California Christmas Trees COOPERATIVE, displaying this badge. Click here to request a copy of the Draft Quality Specification or click here to read the USDA Std.